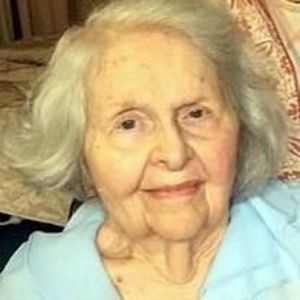 Margaret Williams Glazener, 98, of Raleigh passed away peacefully with family, following a brief illness and an exceptional life, on November 2nd, 2017, at Stewart Health Center at Springmoor. ?Margaret was born in Rose Hill, North Carolina, where she wed her dear husband Edward W. Glazener. They were married for 69 years prior to his passing. ?She was a scholar, pioneer, and a champion of education. Margaret received her bachelor's degree from Meredith College in 1940 and completed graduate work at North Carolina State University and American University. She taught home economics prior to working as a code breaker for the War Department during WWII. ?Margaret flourished during her time as a cryptanalyst in Washington, D.C., and fondly recalled singing in Peter Marshall's choir at New York Avenue Presbyterian Church. Margaret was an active member of the NCSU Women's Club, Pullen Memorial Baptist Church, and Meredith Alumnae Association. Yet, most of all she cherished her family to whom she devoted much of her time and energy. ?Mrs. Glazener is survived by son Laurence; daughter-in-law Judith; son-in-law William Spencer; granddaughter Laura Spencer Grubaugh; and sister Joyce W. Adams. In addition to her husband, she was predeceased by her brother Luther and daughter Lynette Glazener Spencer. ?A private service is being held at Raleigh Memorial Park. ?Memorial contributions can be made to the Lynette Glazener Spencer Scholarship Fund at Meredith College, Division of Institutional Advancement, 3800 Hillsborough Street, Raleigh NC 27607. Arrangements under the direction of Brown-Wynne Funeral Home, 300 Saint Mary's St., Raleigh, North Carolina.